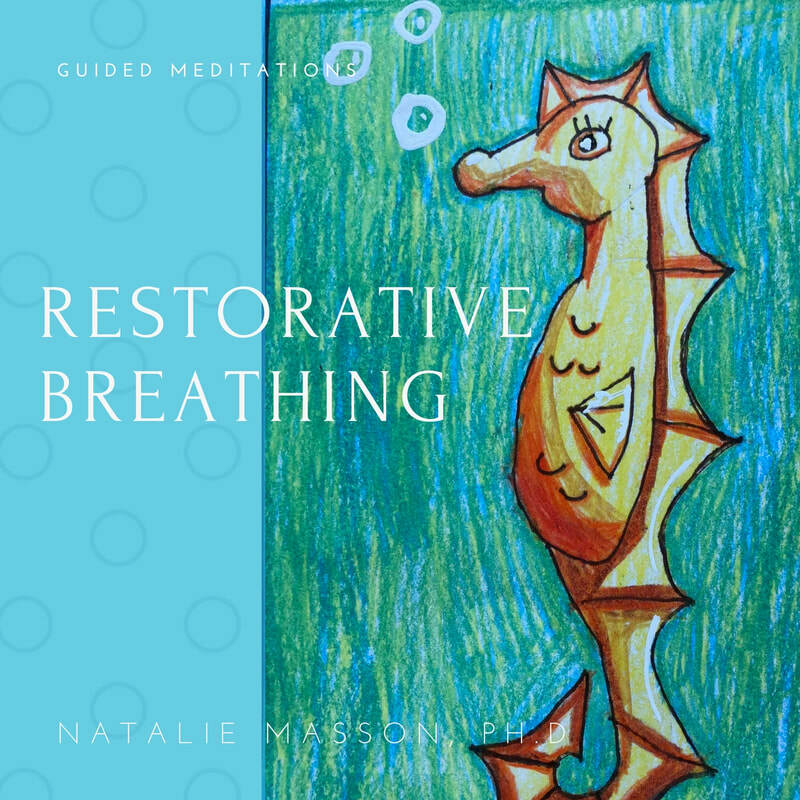 Products - Natalie Masson, Ph.D.
Somatic Listening is a technique to help nurture emotions, by listening mindfully to emotions in the body. The collection includes an introduction to the practices, three versions of the somatic listening meditation, a container imagery meditation and peaceful place imagery meditation. All meditations are offered both with and without background music. Use these series to develop your emotional attunement, resolve conflicted emotions, and establish a regular practice of caring for your emotions in a healthy way. I've created this series to help guide people in practicing mindfulness and developing more balanced breathing to calm the mind and body. This collection includes one hour of practices which flow together into a continuous session. Each track also stands alone, so that you can practice shorter sessions or mix and match the segments depending on your present needs and time available.